Miss Anambra Wins Most Beautiful Girl In Nigeria 2015. ~ CK Jacob: Nigerian Fiction And Lifestyle Blog. 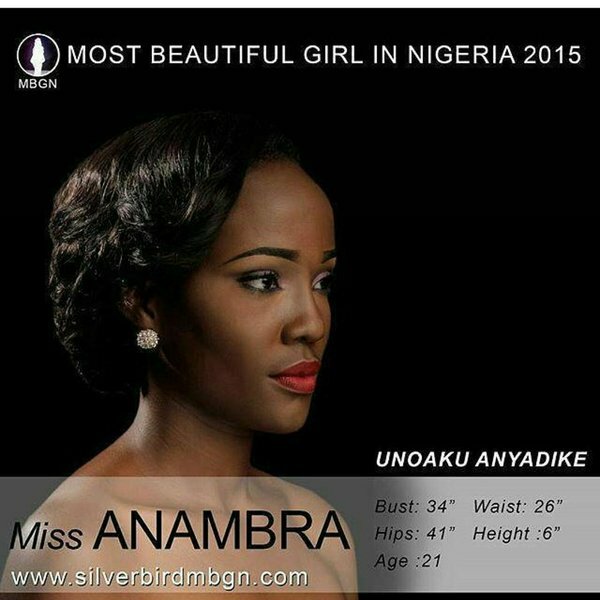 Miss Anambra Wins Most Beautiful Girl In Nigeria 2015. Unoaku Anyadike has been crowned most beautiful girl in Nigeria. She is from Ekwulobia in Anambra. She resides in osun state and her dad is a professor. Did you guys watch it? I did but could not watch it to the end. But ehn.. does she look 21? Did you guys notice something about her? She's dark skinned! I'm sure there was no rigging.